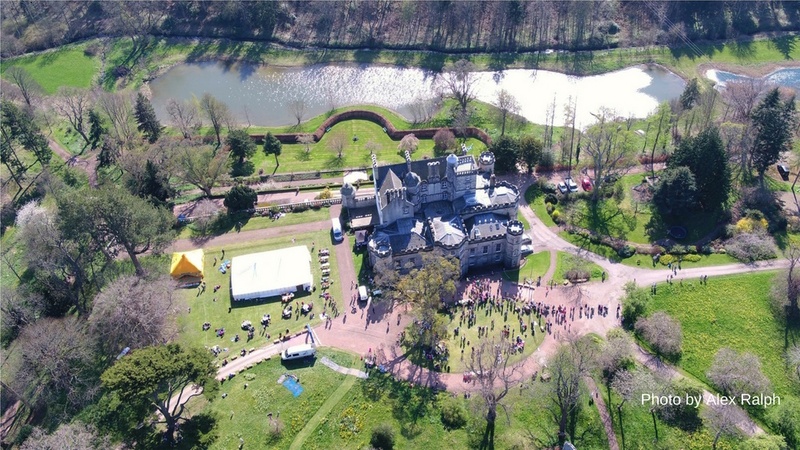 Winton Castle in East Lothian is hosting its annual, fund-raising Family Open Day with a special castle theme on Sunday 15th April (12 noon – 4.30 pm). This marks the move last year to change the name from Winton House back to its original name of ‘Winton Castle’, more fitting for a 500 year old Scottish Renaissance castle. 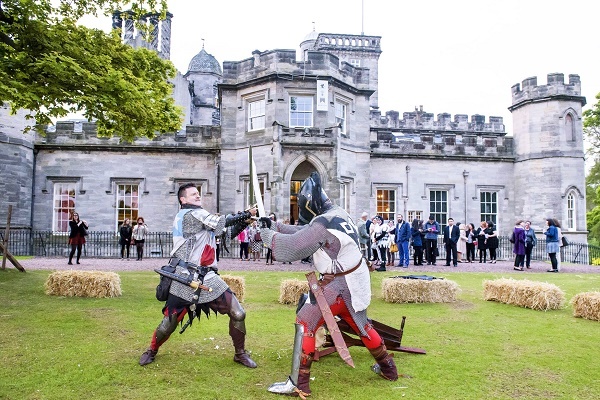 Open Day visitors will be able to see medieval knights sword fighting and be entertained by their talks; watch eagles and birds of prey displays by Elite Falconry; learn about bushcraft and the skills of fire making and knife carving; try their hand at archery; go on history tours of the castle; and enjoy the walled and terraced gardens open through Scotland’s Gardens Scheme. All profits for the day will be going to Marie Curie, the charity for terminal illnesses, as well as to charities supported by Scotland’s Garden Scheme. See knights sword fighting and hear their talk. Marvel at displays by Birds of Prey and pet Lambs. Experience the ancient art of bushcraft. Try your hand at Archery. Take your children on a Treasure Hunt or for Face Painting. Go on Guided Castle Tours, where you’ll learn about Winton’s rich Scottish history and the castle’s links to the Seton family, Mary Queen of Scots, Bonnie Prince Charlie and the Elgin Marbles. Refuel with Tea and Light Lunches at Café Winton. The famous Lucas ice cream van is also likely to make an appearance. Picnics in the grounds are welcome too. “Most of our plants have survived the ‘Beast from the East’ really well,” says Toby. “We’re blessed with sheltered, south-facing gardens: both the terraced gardens below the castle and the walled garden catch the warmth of the sun, reducing the impact of very cold weather. Colourful tender plants like Dahlias, Salvias, Cannas and Euphorbias are left in borders protected by straw in the winter. “Early flowering cherries, shrubs, hellebores and cyclamen and other woodlanders should also be on display. Since 1931 Winton has been opening its gardens under Scotland’s Gardens, longer than any other Scottish garden. To celebrate the 85th anniversary, the Duchess of Rothesay joined Scotland’s Gardens at a huge birthday party at Winton Castle. More information on Winton Castle’s website https://www.wintoncastle.co.uk/ and Open Day section.